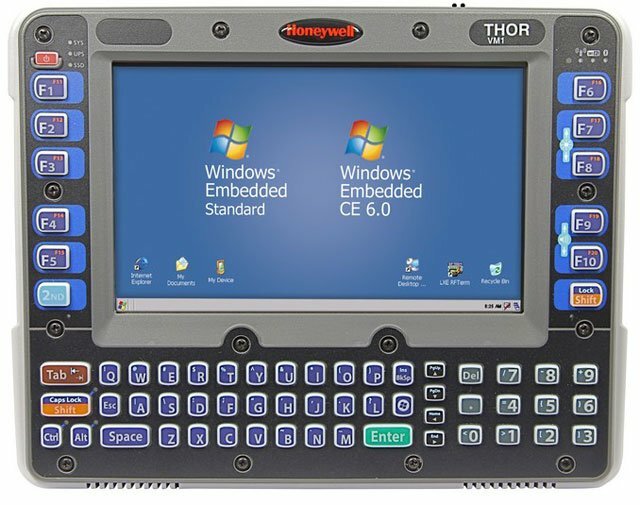 The VM1 Thor is LXE's newest vehicle-mount computer, and the reinvention of the category. VM1 Thor redefines the expectations of what a VMC can accomplish. VM1 Thor's processing platform is dramatically superior to all other CE vehicle-mount computers in processing speed, RAM and flash. 802.11 a/b/g and Bluetooth 2.0 comes standard, and by adding WWAN w/GPS, the advantage of VM1 Thor over other VMCs becomes overwhelming. A cold storage configuration, indoor & outdoor displays, and true space diversity antennas for WiFi, contribute to a device ready for virtually any industrial environment. A field-replaceable front panel gets you back on line if the touch-screen, keyboard or defroster fail. A Quick Mount Smart Dock allows one-handed movement of units between vehicles to save cost and reduce down-time. Finally ignition control makes the computer ready for work when you are. 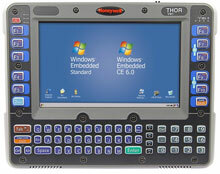 VM1C1A1A1AUS0JA	 VM1 Thor, Indoor ANSI 802.11A/B/G Int Wlan Windows Ce 6.0 Ceterm. Charging Docks Sold Separately. Cradle Charging Dock (Part# Vm1001Vmcradle). The LXE VM1C1A1A1AUS0JA is also known as HSM-VM1C1A1A1AUS0JA	.